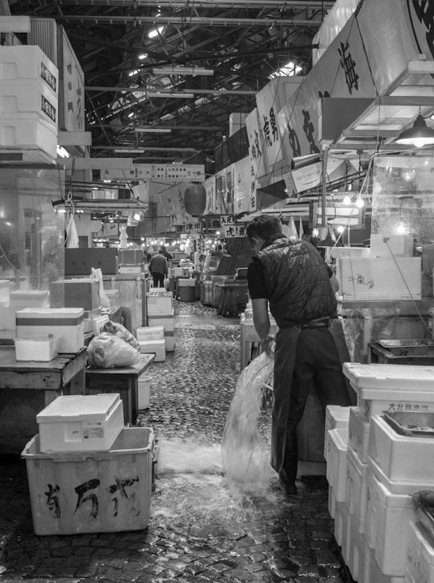 Our Japan trip would not be complete without my favourite black and white pictures from the trip. The first one was taken while we were waiting at Kyoto station for the Shinkansen to take us to Nagoya. From there we would take the train to Takayama in the Japanese alps. 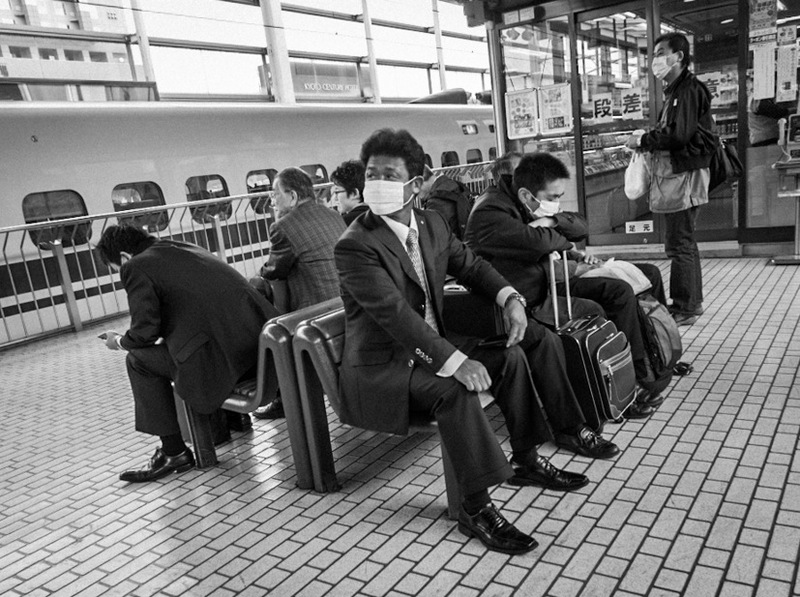 I like this picture because it seems to typically Japanese to me, with the business men in their suits waiting for their trains to arrive. I did not take any more black and white images in Takayama, Shirakwa-go or Matsumoto – somehow I needed all the colour to show the amazing scenery of our trip. 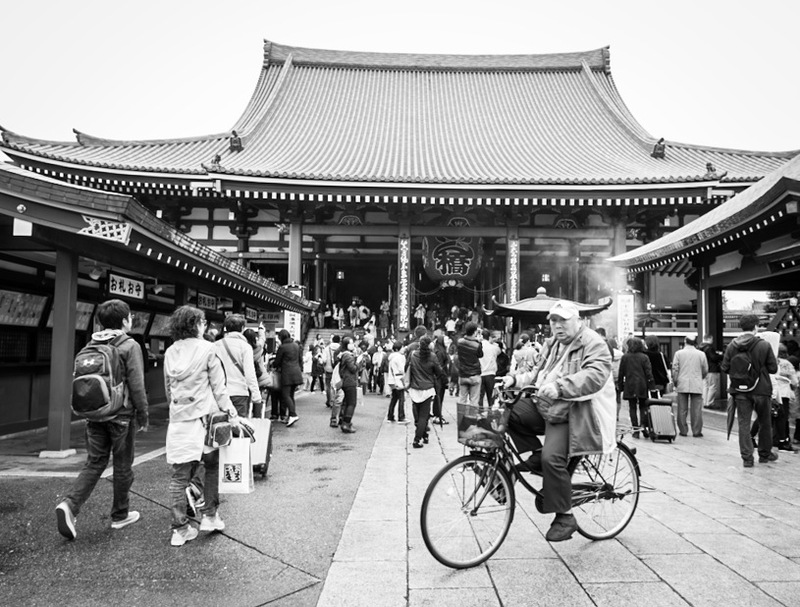 However, back in Tokyo, when we visited the Sensoji Temple for the second time (I had been here before) I noticed that the pictures in colour were much too noisy. There was too much going on. So I decided to convert them into black and white and now I like them much better. The first one shows a guy on a bike, driving past the crowds – he does not seem to care much about his surroundings, but he did notice me. 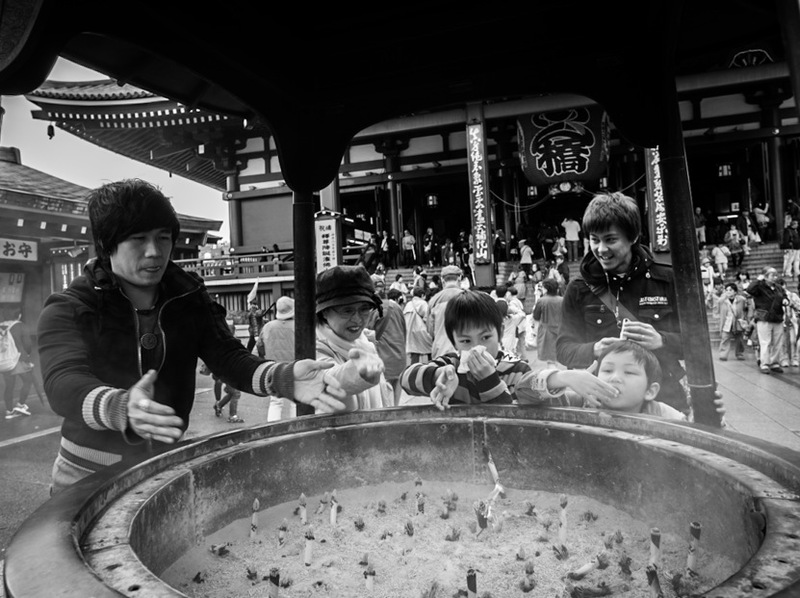 Of course, kids are always a great subject for photographs – I love those kids taking in the smoke from the big incense pot in front of the temple, trying to cleanse themselves before entering the holy site. … and again, a typical Japan photo shot. 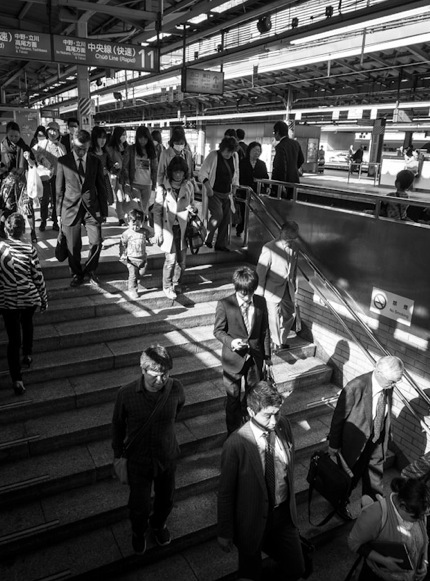 Lots of people, busy stations and some shadows to make the shot more interesting. Japan, thanks for showing us your fantastic and very different sites. It was a pleasure to meet you and I hope to see you again some time soon. Lovely photos as ever! Definitely makes me want to visit Japan – so many beautiful things to see and do there! Thanks for sharing.